Soft premium quality stretch lace fabric. Delicate lace material has good stretch widthwise. 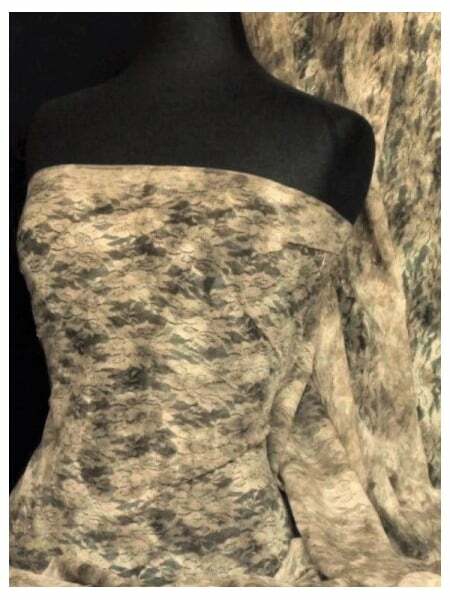 Versatile clothing lace uses include dresses, lingerie, underwear and trimmings. Beautiful shades of colours, from bright to pastel, available in this fabric. Great quality fabric offered at a low wholesale price. Weighs approx 75 grams per meter squared.